A huge ìThank you!î goes to the people who offered support and suggestions on BSN and youtube. Without you, this project would have ended at v0.1. Another huge Thanks goes to Epic Games and Audiokinetic for providing their tools for free for non-commercial use. And of course, the most important and heartfelt "Thank You!" goes to the folks at BioWare who created the most awesome (in the literary sense of the word) universe, not in gaming but in all fields of entertainment as far as I am concerned. And although many of us were not happy with how it ended, it must be said that Mass Effect as a whole is and remains a masterpiece. Thanks for making it! 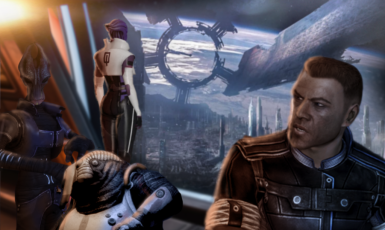 MEHEM is a reinterpretation of the endings of Mass Effect 3, which allows Commander Shepard to survive the final mission, among many other changes. It features custom videos and slides, re-engineered gameflow, original as well as re-arranged voice acting, new music, etc. What does MEHEM do in detail (obvious spoiler warning)? - The Geth and EDI survive. 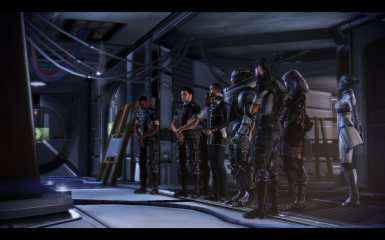 EDI is now present during the memorial and new slides were added to the epilogue that will show the geth, if they are alive. - The epilogue slides now show survivors on the Citadel, most prominently Aria and Cpt. Baley. - You will see your Shepard reunited with his crew (and even some interaction unique to your LI if the LI is part of the Normandy crew). While they don't exactly have a party, now it is a real bitter-sweet ending with the emphasis on "sweet" rather than on "bitter"
- Since by the time of v0.3, quite a few people have contributed to this mod, I implemented some MEHEM credits in the stargazer scene. - See the included Readme for full details. 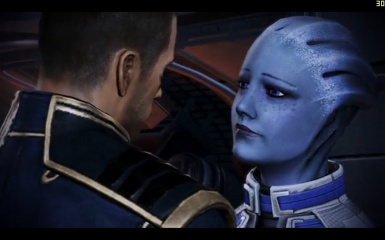 - You must have BioWare's Extended Cut (EC) installed. - You can install the mod whenever you like but you need a save game where the Extended Cut was already installed by the time you started the Cerberus HQ mission. So you should only run into savegame related trouble if you use a very old pre-EC save from Cerberus HQ or London. - If you wish to revert to the original ME3 endings, you can simply uninstall MEHEM v0.5 via windows control panel, as you would for any other piece of software.